Caitlin Scarano is a writer based in Washington state. She holds a PhD from the University of Wisconsin-Milwaukee and an MFA from the University of Alaska Fairbanks. 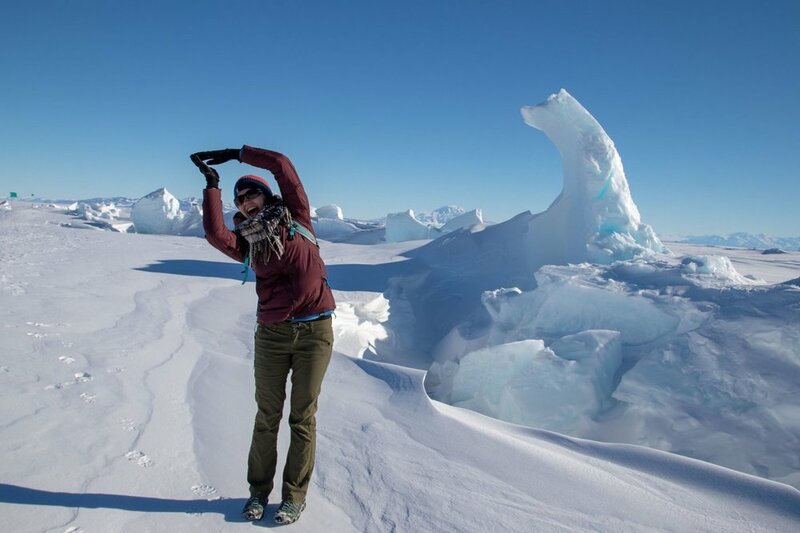 She was selected as a participant in the NSF’s Antarctic Artists & Writers Program and spent November 2018 in McMurdo Station in Antarctica. Her debut collection of poems, Do Not Bring Him Water, was released in Fall 2017 by Write Bloody Publishing. She has two poetry chapbooks: The White Dog Year (dancing girl press, 2015) and The Salt and Shadow Coiled (Zoo Cake Press, 2015). What is the future of Antarctica? This past week, I visited historic huts built and used by Scott and Shackleton’s expeditions and left with more questions than answers. Sign up with your email address to receive updates on my blog, readings, and more. I will not share your email or spam you. the fishing wire from flesh.